To deliver tailored independent financial advice and financial planning services with integrity, excellence and purpose. We want to empower clients with the tools and knowledge to achieve their lifestyle objectives. 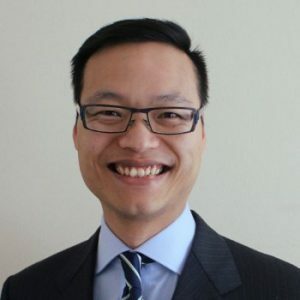 Plutus Financial Guidance was founded by Vince Lam who is an authorised financial advisor in Sydney, and a representative of Independent Financial Advisors Australia AFSL 46462. Plutus Financial Guidance are proud to be independent wealth advisors, offering gold standard financial advice to their clients. Vince has almost two decades of professional experience in the finance and energy sectors. Before launching Plutus Financial Guidance, he led a corporate life specialising in strategic thought initiatives, commercial analysis and commodity trading. He held leadership positions, making significant contributions to successfully securing the supply and logistics of multimillion dollar commodity deals and trading about $40 million per year on the market. Education has always been an important aspect of Vince’s life. He believes that anyone can continuously evolve and be a flourishing contributor to society. Vince was educated in Switzerland and did his tertiary education with the University of Sydney. He completed postgraduate studies with CPA Australia and the Macquarie University Applied Finance Centre whilst working in a high performance focused culture and working environment for various blue chip organisations. He has a passion for philanthropy and serving the community. Vince serves on the board of The Deaf Society as a non-executive director, overseeing the governance and management of The Deaf Society. In addition, he is a member of the finance & audit committee, where he has a pivotal role overseeing financial health and audit, including oversight of a $17 million equity portfolio. The Deaf Society is Australia’s leading not for profit specialist service provider for the deaf, deafblind and hard of hearing people and their families. It has an annual revenue of approximately $8 million. His family have taken a grassroots approach in creating positive changes and funded 3 libraries through Room to Read. A not for profit organisation that successfully transform the lives of millions of children in low-income communities by focusing on literacy and gender equality in education, so they can have the relevant life skills to succeed in school and beyond. Vince has a wealth of knowledge and experience, which he brings to Plutus Financial Guidance. From superannuation advice, to estate planning, find out more about his experience here. Outside professional services, Vince spends quality time with his wife, two children and adopted cat from the Cat Protection Society of NSW. He loves sports, culture, good people, good food – sometimes too much food, and mountain biking to stay healthy and connected to nature. He is looking forward to completing a PhD postgraduate research program in the near future. Did you know Plutus is the god of wealth and money in ancient Greece?